Activation/Deactivation is a dynamic process, automatically set by the Keyboard Maestro Engine as your Mac's environment changes in real time. 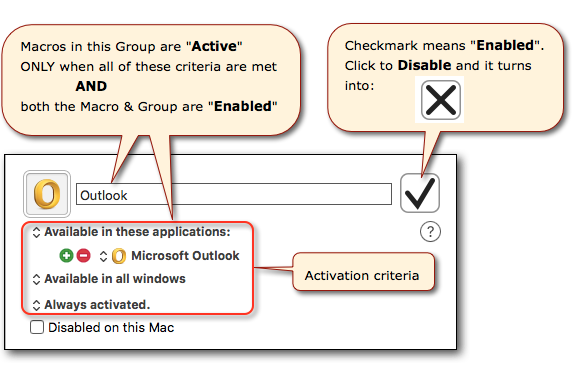 The criteria for activation is set by the user in the Macro Group setup. By default, all macros and groups are Enabled. Enabled means a macro is available to be triggered, if, and only if, other criteria are also met.